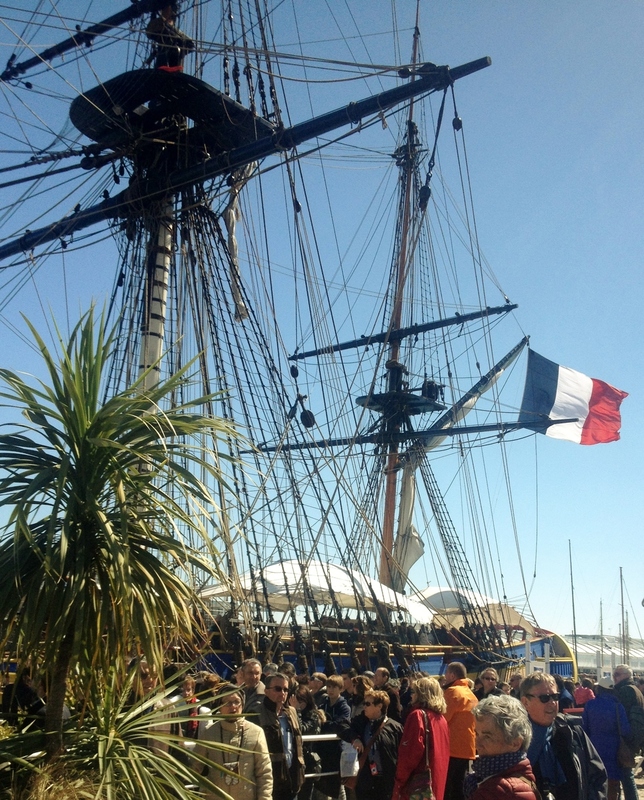 Out and about things to see and do during your stay in Charente Maritime. Just a 10 minute drive from the cottage, St Jean d'Angély is a lovely market town, rich in heritage and full of the picturesque buildings which characterise the local area. Built on the banks of the Boutonne River and recognised from a distance by the twin towers of its abbey ruins, St Jean has a diverse range of independent shops, banks, post office and pharmacies as well as a number of large supermarkets, restaurants and bars catering for all tastes and pockets. On the banks of the Boutonne, the Plan d'Eau (riverside leisure lake) is great for picnics, pedalos and water sports alike while the highly popular Aquatic Centre, Atlantys, is an impressive complex, complete with water slides, diving pool, jacuzzis, a gym, sauna and outdoor sun terraces. Les Églises d'Argenteuil is around 10km from Aulnay-de-Saintonge, a large village with all amenities (supermarket, bakeries, banks, pharmacies, post office, garage, bars & restaurants), a large market on Sunday morning and a smaller produce market each Thursday in the town square. The open air swimming pool with games area and café is open throughout July and August, while the public tennis courts remain open all year round The commune is on the pilgrims' route of Santiago de Compostela and its Romanesque church, St-Pierre d’Aulnay (a UNESCO World Heritage site) is noted for its impressive architecture. A 15 minute drive from Le Vincent, Dampierre boasts a lovely 10th century Renaissance chateau which is open to visitors throughout the summer. There is a village shop with Post Office and a bar/restaurant for reasonably-priced snacks and meals, served with local wines. Just outside the village, the Asinerie de Baudet de Poitou (Donkey Sanctuary) is a great place to visit with younger members of the family. Baudets de Poitou - the region's own breed of donkey. The capital of Charente-Maritime, the University city of La Rochelle is approximately 45 minutes' drive away. A major transport hub, with its airport (offering budget flights to and from the UK via Flybe & RyanAir), the railway station and historic harbour, this vibrant city is one of the most popular tourist attractions on France’s Atlantic coast. La Rochelle has a rather a turbulent history, particularly during the French Wars of Religion (1562–98); primarily fought between French Catholics and Protestants (Huguenots). From 1572-1573, the city - which had embraced Protestant ideas - was besieged by the Catholic central government. A German stronghold during World War Two, La Rochelle was the last French city to be liberated at the end of the conflict. Today, the 'Vieux Port' ('Old Harbour') - with its three towers of Saint Nicolas (built in the 14th century), Chaîne and Lanterne - is La Rochelle's main attraction, guarding the entrance to the port and providing panoramic views over the old town and l'Île d’Oléron. Visitors can also explore the World War Two submarine bays, as well as one of the largest pleasure boat marinas in Europe. The nearby Maritime Museum houses, amongst other vessels, the Calypso, used by the famous marine biologist Jacques-Yves Cousteau as a mobile oceanographic laboratory. Other museums to explore include the Museum of Natural History, the Museum of Beaux Arts and the Nouveau Monde. For nature lovers, the large aquarium and the botanical garden, le Jardin des plantes, are well worth a visit. La Rochelle is known for its excellent seafood, in particular local oysters (huitres) and mussels (moules), and it boasts a number of highly acclaimed restaurants - such as L'Entracte, & La Suite, Au Goût du Jour, Le Valin, La Marée, La Boussole and Au 28 among others. The Central Market, a bustling hub of activity, is also not to be missed. Every July, the city hosts one of the country’s biggest music festivals, ‘FrancoFolies’, which brings together leading Francophone musicians for a week of concerts, with the legendary Johnny Halliday booked to perform on 14th July 2015. Situated just off the coast of La Rochelle and accessible via bridge or boat, lies the beautiful World Heritage site, Île de Ré. Explore the old town within the citadel of Saint-Martin and discover the island's fine sandy beaches, pretty little village ports, forests and salt marshes. Fort Boyard - built by Vauban and located between the Île-d'Aix and the Île d'Oléron - is a short boat ride away. The Fort serves as the set for a game show of the same name, which has enjoyed international success since it was first broadcast in 1990. Around 30 minutes' drive south of the cottage, the charming market town of Saintes is famous for its Roman architecture, notably the impressive Arc de Germanicus, standing proudly on the banks of the Charente river; the amphitheatre and the Cathédral de St-Pierre. It is also the birthplace of a certain Dr Guillotin, whose quest for a more humane means of execution led to the invention of the eponymous guillotine. Whether strolling through the cobbled streets, shopping or people-watching from a café table, there is much to see and do on foot. River trips are also available in a variety of crafts, including the gabarre, a traditional flat-bottomed oak boat once used to transport cognac, salt and other produce. Horse lovers may wish to visit Le Haras National de Saintes – one of the 23 the national horse studs of France. Originally created to provide King Louis XIV with horses, this national network is today responsible for maintaining the standards of breeding and for protecting local breeds – including this area’s Poitevin draught horse and the Poitou donkey. Take a guided tour to see the horses housed in elegant stables set in landscaped gardens. Just across the border into the department of Charente, Cognac, the medieval town which bears the name of the region, is attractive with narrow medieval cobbled streets and elegant Renaissance facades. It is here that the famous beverage of the same name has been produced since the 17" century and where world famous Cognac houses are located. Most offer guided visits and tastings - for more information, please visit our Gastronomy page for individual companies' websites. 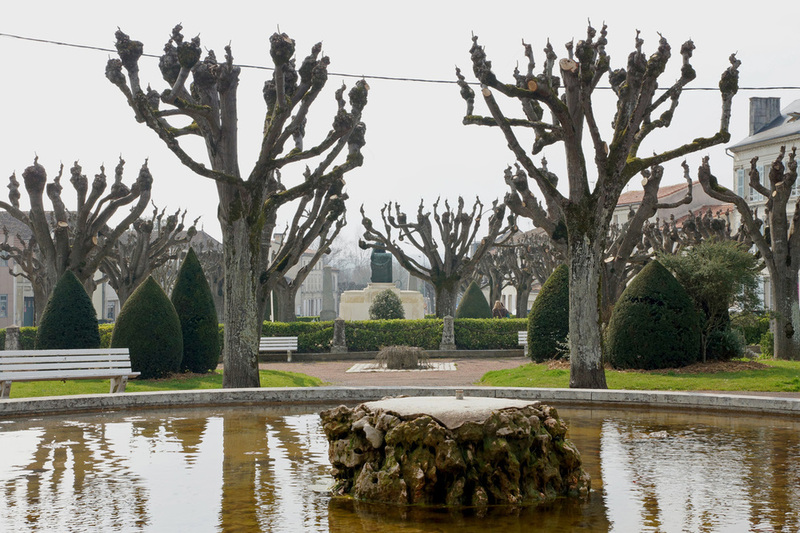 The Château de Cognac and the Musée des Arts are well worth a visit to appreciate the history of the town and that of its eponymous eau de vie; while river boat trips along the Charente are also a popular and interesting way to take in the sights. Many thanks to Richard Edwards of Richard Edwards Photography for allowing use of images of St Jean d'Angély and La Rochelle on this page. Thanks also due to Cathy Temple for some lovely pictures taken around St Jean d'Angély.